Why do CEOs get fired or leave organizations anyway? Abstract. In this article, I discuss some of the many things that can lead to CEO turnover that have little if anything to do with the CEO’s personal performance. In my previous post, I made reference to comments written by ‘TiredofTheOverpaidFailures’ in response to a Becker Review article. Clearly, he or she was very bitter about what they had observed in the front office of their organization over a long period of time. It is true that some of the folks occupying C-suite offices are not that stellar but more often than not, when they leave it is rarely because they are an idiot. The system does a pretty good job of weeding out idiots before they can reach positions of such power and influence although I have seen a number of suspects among the casts of characters I have dealt with in healthcare administration. So if the CEO is not an idiot, why let him go? I will discuss a variety of situations that I have seen that I believe explain in part why CEO turnover in healthcare is so high. I frequently hear complaints about what a Board is and is not doing with respect to the organization and the CEO. A healthcare organization is not much different from a professional sports team. The Board is the owner and the CEO is the coach. In the end, like a sports team, the Board only has one switch or lever to use to guide the organization; hire the coach or fire the coach. As long as the Board has not decided to fire the coach (CEO), by default they are supporting or at least tolerating him. He is still their guy until the notice is delivered which can happen on the same date that an incentive award is given. If you do not like what you see the CEO doing, it is not necessarily his fault. Look to the Board for responsibility for the actions and results of their CEO. The CEO is taking the organization in the wrong direction. This does not mean that the direction is actually wrong. Usually, it is very different from the predecessor’s course of action. Sometimes, a new CEO will read that the reason for his predecessor’s failure was that he had the organization on the wrong track and the new CEO over compensates and sure enough, in two years or less, the Board concludes the new guy is on the wrong track. This bad outcome is the fault of the Board. Strategy and organizational direction is NOT the responsibility of the CEO. It is the responsibility of the Board. The CEO can facilitate the process but it should be a Board initiative so that the guidance to the CEO is clear and that the strategy transcends different CEOs should turnover occur. In fact, a smart Board will insure that a candidate CEO concurs with their strategy BEFORE he is hired. The leadership of the medical staff comes into the Board room. I have counseled many CEOs on this phenomena that I believe to be one of the most common reasons for CEO turnover. Name one case where the leadership of the medical staff went into the Board room and said “The boy is done,” and the Board fired the medial staff. IT DOES NOT HAPPEN. Every CEO lives in fear of this phenomena and he has seen many of his peers fall to this situation. Therefore, CEOs are always constrained in what they can accomplish in the organization because if they push the medical staff too far, even if it is for the right reason, they are done when the vote of no confidence comes. The CEO typically is hired from out-of-town and relocated to the hospital. The Board rationalizes that the CEO can find another job elsewhere while doctors are ‘rooted’ in the community. Whether this logic holds or not, the end result is the same in every case. If anyone is aware of any case of a Board firing the medical staff and keeping their CEO, I would like to know about it. A major project fails. Even projects conceived or started before a CEO’s run starts can fell him. Major construction projects or I/T projects that are not on time, not on budget or fail to come up flying on both wings represent major risks to a sitting CEO. The CEO does not do the project but he will be held accountable by the Board for failing to put the correct staff, resources and controls in place to ensure that the project is successful and to prevent a medical staff revolt if the medical staff is impacted by the project. The results are just not there. A financial plan or a strategic plan should be the result of a process or negotiation undertaken between the Board of Directors, their CEO and his management team. The plan outlines the intended course of the organization over the coming period. Once the plan(s) are approved, it is the responsibility of the CEO to execute the plan and deliver the results. Frequently, the CEO is constrained by limitations of his team and in order to accomplish the organization’s objectives, the team has to be changed. Sometimes different skill sets or different levels of capability are required than what is present on the incumbent team. If the CEO fails to deliver the agreed results, the Board is justified in considering removing him for failure to execute. If the failure is due to weakness of the management team, the CEO still owns the problem. This is what provokes a lot of the collateral turnover discussed in a previous blog. Speaking of results, a common error of new CEOs is their failure to get an independent, objective assessment of the organization or conduct their own upon arrival. A Board tends to be more tolerant of issues that are documented and associated with the prior regime. A CEO that fails to deliver a thorough assessment to the Board in the earliest part of their run in an organization will discover that after a few months, they will ‘own’ all of the problems in the organization whether they created them or not. Documenting the initial state of the organization is a good way to establish a base line and clearly delineate what existed at the inception of the CEO’s employment. An assessment is also a good way to facilitate and support requests for incremental resources to quickly address initial problems. An Illness or accident interferes with the CEO’s ability to execute. Sometimes, a CEO is beset by an uncontrollable illness that renders them incapable of continuing their duties. Boards do not do as good a job of succession planning as they should and when something like this happens, the organization is thrust into an unexpected transition situation. Sometimes an interim whether internal or external can bridge the gap but if the CEO is permanently disabled, a transition becomes inevitable. WellStar Health System in Atlanta suffered such an incident in a widely publicized accident when their CEO was riding a motorcycle that he bought at a charity event was struck by an automobile and killed. Indiscretion. Don’t ask me why indiscretions occur. Clearly they arise from CEOs that fail heed the adage of keeping their pen out of the company inkwell. I know of a case where a CEO of a large hospital fornicated with a physician in a hospital stairwell under the watchful eye of a security camera. The physician was impregnated and the resulting scandal thrust the organization into an unplanned transition. A CEO’s position in an organization is very powerful and they have a lot of groupies. Some of them allow it to go to their head and before they know it, they are felled by their own ego,. Illegal activity. The same is true of illegal activity. Why an otherwise intelligent person with a living standard well above average would engage in illegal activity is one definition of insanity. This behavior is a living example of Lord Acton’s adage that power tends to corrupt; absolute power corrupts absolutely. Illegal activity within an organization frequently involves collusion and the fallout can result in collateral turnover and losses of time and resources while the organization is forced to focus on remediation of the crime and the resulting transitions. A GA hospital CEO ended up in prison following convictions related to government programs. Fit. Sometimes, there is a fit problem that was not detected during the interviewing and vetting process. This lack of fit could be based on personality, skill set or interaction/management style. Whatever the reason, the hire was a mistake and it will not end well. Sometimes, family fit is discounted and the CEO’s engagement ends up failing because the family did not relocate or did not tolerate the relocation. Culture. A friend quoting his Italian mother liked to say, “The fish stinks from the head.” Indeed, the culture of an organization emanates from the office of the CEO and the Board room. The longer a CEO’s predecessor has been in place, the more deeply ingrained the culture he will inherit. The harder or faster he pushes to implement cultural change, the greater the risk that he will be come a victim of his efforts. Organizations resist cultural change and pushing too hard or too fast has more than once resulted in a CEO leaving an organization sooner than he planned. This is true even if the CEO is acting at the DIRECTION of the Board. I know of a case where a Board ordered a CEO to take a course of action that resulted in a serious conflict with the medial staff. The Board had decreed that, “this will not stand.” Never the less, when the leadership of the Medical staff showed up in the Board room, the CEO was done. The Board had such remorse that they prepaid over five years of severance but the CEO still left the organization. By the way, the first successor did not last very long either. The CEO decides to move on. It would be nice if organizations created an environment where career advancement transitions could be more open and managed in such a way as to create less turmoil as a result of the transition but this is frequently not the case. Usually, the first notice a Board has of this situation is when their CEO announces his resignation and thirty-day notice. Retirement. Sometimes, the CEO survives until retirement. If the retirement is handled properly, an orderly succession takes place. If not, even a retirement can lead to a difficult transition. The main point of this discussion is to lay groundwork to address the question referenced in my previous blog about the wisdom of severance packages and why I think they are generally the right thing for an organization to do. My goal in this blog is to illustrate how risky it actually is to be a CEO. There are a lot of things, many of which are out of the control of a CEO that can lead to CEO turnover. Part of the reason for a severance agreement is to mitigate risk on both sides of an executive employment deal. While much of the discussion here has focused on the CEO, the same principles apply to every C-Suite executive generally defined in each organization as the executives reporting directly to the CEO. Please feel free to contact me to discuss any questions or observations you might have about these blogs or interim executive services in general. As the only practicing Interim Executive that has done a dissertation on Interim Executive Services in healthcare in the US, I might have an idea or two you would find value in. I can also help with career transitions or career planning. If you would like to discuss any of this content or ask questions, I may be reached at ras2@me.com. I look forward to engaging in productive discussion with anyone that is a practicing interim executive or a decision maker with experience engaging interim executives in healthcare. 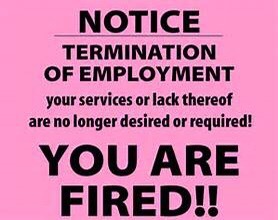 Next If the executive is going to get fired anyway, why do they need a contract or severance? Hi Ray – Happy New Year to you! I appreciate your perspective on this topic. It definitely seems to be a real challenge to be in a senior leadership role at a hospital these days. A couple comments I would have and question for you would are related to situations I have heard about right here in Georgia. In one facility, the hospital had contracted with a large consulting practice to come in and do an assessment of the organization. As I understand it, when they made their presentation, which included some tough decisions be made, the board objected to it not being in the best interest of the organization or the community. Why have them come in in the first place then? The CEO supported the idea of the change but was met with resistance from his board. In almost all cases, I would bet the board wins. As a result, many of the senior leadership left and they brought in or promoted new leadership to continue the course. How does a CEO get his point across to a board that would rather continue to do things the way they have always been done than risk making drastic changes that upset the ship? The other questions I have is how often does the CFO get let loose too? When is it appropriate and when is it not? We’ve seen this recently in Georgia as well. As you know, CEOs and CFOs often work in tandem. A CEO will often bring a CFO along with them who they have a history of working with. If the CEO loses face and gets replaced, how often does the CFO remain well into the new CEOs term? The CEO can be a such an agent for change and sometimes becomes synonymous with the organization and the brand of that organization. Steve Jobs, Robert Goizueta, Bill Gates. When they go, so goes the brand is the concern of many. It doesn’t have to be that way. Fortunately we often see the CEOs replacement in healthcare bringing welcomed change and stability. Too bad Washington doesn’t give politicians their walking papers more often when they are ineffective. Thanks again for the opportunity to discuss this. In many ways, we’re all in it together. I hope we have the opportunity to meet in the near future. I am going to miss the next HFMA meeting (again). I’ve learn this put up and if I may I desire to counsel you some fascinating issues or tips. This does look prmnisiog. I’ll keep coming back for more. Thanks Jerry. This has been my most read article. Your story was really inamvoftire, thanks!